MTB helmets are usually more elongated and lighter than regular ones, but a well-chosen helmet sticks to your head as if it was glued to it. 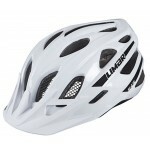 Limar helmets, for example, use a special comfort-fit system to ensure this. They don’t come cheap, but you’re sure to enjoy free delivery with Pushys when getting your new helmet with them. 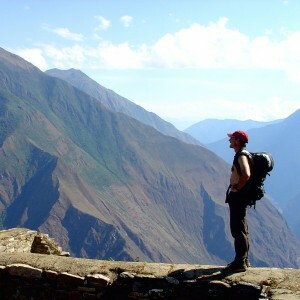 Although some experienced trekkers do without them, gloves are essential. Especially for beginners who are not used to the vibration of the bike – and who probably face more falls. MTB gloves are both enduring and poshy at the same time, just check out some of them here. No one wants to wait for hours for other people's rescue, so please learn as much about the ins and outs of your bike's repair duties as possible, and take the basic tools with you with which you can fix minor problems like a puncture or the slight deformation of the body. You might want to consult with your local bike shop on the content of the box. Being dazzled by the sunshine is frequently the source of many unwanted bike events, so it's better to prevent them by wearing proper sunglasses. If you don't like their re-colouring effect, wear at least clear glasses that protect your eyes from the wind and from insects. 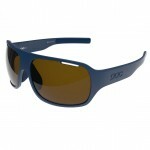 When it's getting dark or when it's foggy, the special yellow lenses do a great service to all bikers. 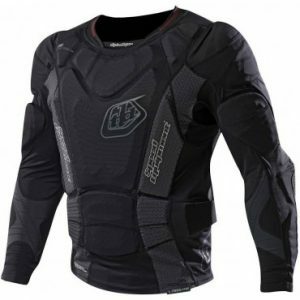 Although it's not necessary to wear complete body armour and wrap yourself into a padded suit from head to toe, if you want to do trekking seriously, there will surely be a point when you feel you desperately need a whole-body suit. Your apparel should certainly be waterproof and protect you from wind as much as possible, and given the upcoming winter colds it's hard to imagine that our regular multi-layered apparel could be perfect for these without encumbering your movements. They simply cannot be as tight as just one layer of clothing. And they are not soft and padded enough for long trekking tours. Armour like you'd imagine for a motor racer looks strange at first, but they are certainly worth a try. 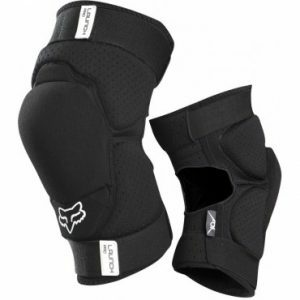 As we've just stated, padding is a key word when thinking about MTB apparel. Since you have to sit for a long time, and the possibility of accidents is also relatively high, it makes sense to create a puffer zone between you and your environment. If you decide not to wear padded clothes, make sure that at least your most sensitive parts are properly looked after. Why stop on your great journey for a drink when you can sip from your pack at any time? Get a trendy hydration pack that keeps you in form, especially if you sip some isometric drink that restores the level of minerals in your organism. Have you ticked the items you've already got, and made a list of those still missing? We wish you a pleasant preparation for your MTB season – and an even more pleasant biking experience thanks to your upgraded gear. 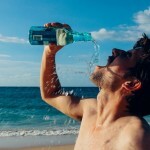 Dehydration: Is It Really a Threat? As always, the surest way to tackle a problem is by preventing it. Athletes often make use of urine tests before trainings to measure their hydration levels and make up for the missing liquid if necessary. But for the majority of us, fitness, bodybuilding, soccer or swimming is a pastime activity and we don't even have access to these means. What should we do then? Experts advice that you shouldn't forget to drink at each meal during the day. And take a bottle with you, so whenever you feel like it, you can take a sip. Try to monitor how much you've drunk so far, and drink a previously set amount each day even if you are not particularly thirsty. It's also a good idea to drink right after a training session - in fact, you need to replace 1,5 times more fluid than the weight lost, since urine and sweat will continue to devoid you of fluids. According to research, sports drinks that contain less than 8% carbohydrates are your best choice, as they outperform both plain water and fruit concentrates. 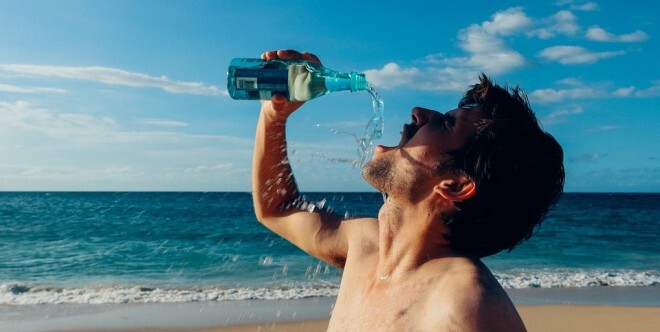 Especially children under 12 (but adults as well) are prone to drink more of it, and stay better hydrated than those who drink water only: sports drinks contain electrolytes that are absorbed into athlete's bloodstream faster, which accounts for the quick rehydration. We are all familiar with the bottles offered to marathon runners at street corners, but athletes are not always in the position to benefit from others' care. In team sports, for example, you are usually not allowed to take a 'drink break'... But in the majority of cases, a sportsman can look after his or her water supply by doing some arrangements beforehand, e.g. by taking special bottles with them. A relatively unsophisticated type available at Wildfire Sports is the Nathan Sports Speed 2 Waistpack that can store 300ml fluid in bottles placed in its pockets. You can fit it to your waist with an elastic Velcro-fastened belt. 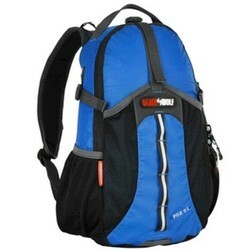 The pack is available in several sizes and colours and comes with Wildfire Sports’ price match promise. OMG. If you prefer the latest technology, choose hands-free backpacks that get the fluid to your mouth through a pipe. 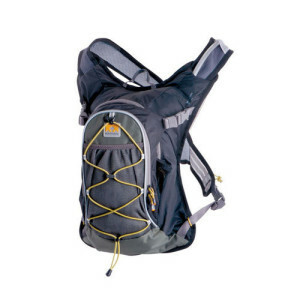 Wild Earth’s Black Wolf Fox 01 Hydration Backpack is a premium example of this: the backpack itself has a storage capacity of 12 litres, and in itself weighs 800 grams. Its special feature is the air suspension back system that ensures good ventilation and the 2-litre bladder for fluids. There are other extras that serve sportsmen like a built-in rain cover, safety whistle, and the whole pack is comfy with padded straps. Through a recent promotion at Wild Earth, Black Wolf Fox 01 Hydration Backpack can be had at a 21% discount bringing down the price to $71. 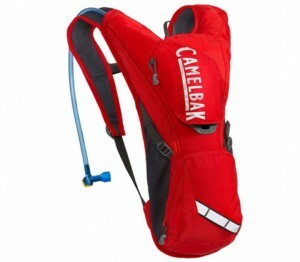 If you'd prefer something lighter, try CamelBak's Classic 2l Hydration Bag currently listed with a 16% discount at 99 Bikes. This weighs less than 0.2 kg and is easy to handle. It can be filled externally via a quick-release flap on the front, and you can conveniently tuck away other items in the small pocket. Don't forget: anywhere you go, always take a bottle or an adequate backpack with you to prevent dehydration, which can reduce your performance even in its mildest form! 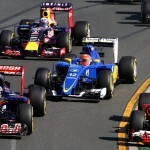 Ready for the 2016 Australian F1 Grand Prix? 3, 2, 1 Go! The Australian Grand Prix, the world’s most exciting and prestigious motorsport event, is creeping upon us, so it makes sense to prepare for it so that you can make the most of the race. Have you got plans already? If not, here are some thought-provoking aspects that might help you. Ok, let's presume you're about to stay at home - this is what the majority of people do anyway, the ring is not large enough to house 23 million people... If you are the gregarious type, a barbecue party could be the best thing for you that makes the race memorable. Are you prepared to throw a party? 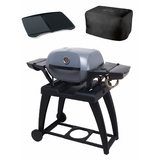 Check whether you've got every gear and accessory for success, and if not, order the missing ones at the The BBQ Store. Gas barbecues, smokers, rotisseries, together with all spare parts are available, and if you don't buy instantly, to watch out for the best offer before the starting grid’s lights turn green. If you want to enjoy the atmosphere of the race, enter the virtual world of F1 with the Formula 1 F1 2015 PS4 Game. Immerse yourself in the game fully - F1 2015 is highly player inclusive for both seasoned players and those new to the game series. As a special feature, ‘broadcast presentation’ delivers you the unique atmosphere of the race day. Are you sure your sound system is robust enough to provide impeccable audio experience for you? If not, it's high time buying a new one. You can start searching at ValueBasket, they are said to have the best prices. 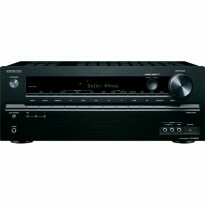 A 7.2-channel Onkyo Network A/V Receiver for less than a thousand dollars for example is a real bargain. Sure the first question is how you'd get there. Have you tried BYOjet, short for Book Your Own jet? This advanced online service collects data from all airlines and lists their offers according to your criteria, whether you're price conscious or care more about the duration of the flight. And that's not all, as BYOjet provides fresh information and booking facility in hotels and car rentals as well, so you can arrange all the booking stuff within 5 minutes, at just one site! Of course if you trust in Avis solely when it comes to car rental, inquire after their offers. In a full size sports car like the Holden SV6 you might have a racing experience almost as intensive as car racers themselves have during the Australian Grand Prix. From camping gear to tents, hiking boots and GPS systems – Wild Earth has it all to make any of our outdoor experiences unforgettable. The store offers products by a number of international brands and several exclusives including Therm-a-Rest, Petzl, Gerber among several others, all with affordable pricing thanks to Wild Earth’s economies of scale. And while their online store offers a great deal of information through the detailed product pages, buying guides, YouTube channel and more, the company knows all too well that its customer care is where it needs to shine. That is why Wild Earth’s manager responsible for customer service decided to do this interview with us to tell all about Wild Earth and the advantages shoppers enjoy in their store. What is your responsibility at Wild Earth? I am the customer service and sales manager. Why should we shop our outdoors equipment at Wild Earth and not another (online) store? We put great work in making sure our service goes further than that of other sellers. Legitimate manufacturers’ warranty, speedy service from experts who are just as passionate about the outdoors as you are, a loyalty program, availability of spare parts and on-location support are just a few of our value-adding services. Anyone who is looking for a business that prides itself on top-notch customer service is at the right address at Wild Earth. How can shoppers save on their outdoor equipment at Wild Earth? We have access to a great variety of suppliers including exclusive international brands and have the opportunity to extensively try all products prior to stocking them since we’re an independently run company. Not only do you enjoy fast deliveries on top of our super competitive prices, but you also get to enjoy free standard shipping when you spend $99 or more. We are able to offer our products at these sharp rates since we stock huge quantities in our warehouses of over 2500sqm. Which brands are currently hot and trending? We are committed to bringing our customers the best products from the world’s leading brands. These include Sea to summit, Therm-a-Rest, Scarpa, Vango, Osprey, MSR, Black Diamond, Camelbak, Tatonka, Black Wolf, Marmot and Smartwool to name a few. 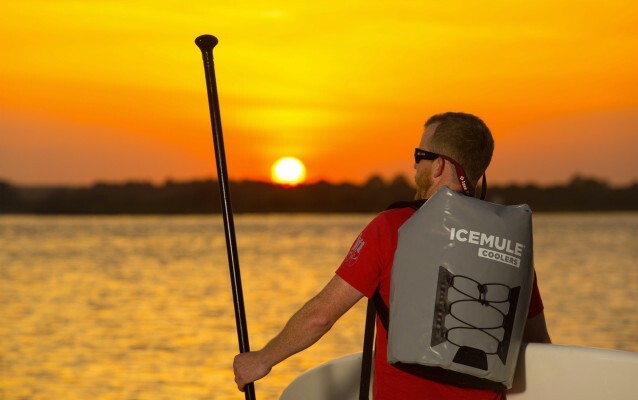 These brands are always leading the way in the outdoor industry coming up with new and innovative ways to enjoy your outdoor gear. Which products do outdoor lovers often overlook? This is a tough question because, depending on the gear you already own and the trip you are planning, people overlook different aspects. However, to help overcome this we have put together checklists for our customers that they can easily use to eliminate the hassle of not having what you need when you need it. What are some of the current bestsellers at Wild Earth? We have a fantastic sale outlet section on our website showing the great offers and prices we have on our gear in real time. Also, every section depending on what you are looking for - whether it be tents, backpacks, swags or shoes - have a function were you can sort it by most popular/bestseller. What are your favourite hiking spots in Australia? Which other sites, online stores do you guys like? Because of our location and interests we like SurfStitch and the stuff they sell. And we like REI’s website and what they deliver. What may we expect from Wild Earth in the near future? Bigger and better things are always on the horizon here, whether it be improving our range of quality gear to always looking at ways to improve and enhance the customer interface and buying experience online, over the phone or in store. How is it like to work at Wild Earth? Working at Wild Earth is truly the best place to be; great work-life balance, great management, and terrific culture. My experience at Wild Earth in one word: magical! Our thanks go to the Wild Earth team for doing this interview with us! Surf’s up! The waves are always great at Tradewind Surf, one of Australia’s best online stores to get a new stick from a top brand of your personal choice. From Chili Surfboards to McTavish – all of these brands are available with free delivery anywhere in Australia. Boardbags, springsuits and even titanium sunnies further complete Tradewind Surf to cater to all of your needs for your next surfing session. And best of all, Tradewind Surf’s team is always available to help you in the search of your new board. Willow’s phone number is there in the top right corner of every page on the site should you want an expert’s advice. We were eager to learn more about Willow and his online store Tradewind Surf, which led us to invite him for this interview. What made you decide to found Tradewind Surf? It was something at the time that had not really been done yet in Australia. Admittedly, Tradewind Surf was a surfing classifieds website, with a small store that showed more promise after a short amount of time, so we went with that. I have been a part of and worked in the industry, so to have my own business to do with surfing was the goal! Why should we shop our surfboards online? I believe that there are three types of shoppers nowadays: the brick and mortar shopper, the online shopper and the swinging shopper who is happy to do both depending on product, mood, etc. The reason you should shop with Tradewind Surf, is because you can call us, or chat online with us, buy with no hassle in your own time and probably most of all is the info on our store is second to none. Also, the service with us is the best you will get. There are plenty of reasons, but if the customer has variety that means we can all survive! Which boards are hot and trending these days? Anything from Lost Surfboards is super popular; their V3 Rocket has been the most popular as it is a great all rounder. The Hayden Hypto Krypto, or the Chilli Spawn, Stuart Surfboards are popular on our store too. We have a whole lot to choose from and help is available if the info gets too much! What is one of the most underrated brands out there? There are a lot of good shapers out there who shape great boards but don't have the money to market like one of the bigger brands. Once again it comes down to preference; some surfers love the local shapers, others love the shapers who have the world’s best riders. So I don't think anyone is underrated; it is more a case of where each label fits in and how they pull customers in. What are some of the accessories we shouldn’t miss out on? We have lots of boards and accessories available, and all our brands have great things like board bags, fins, tail pads and leg ropes. 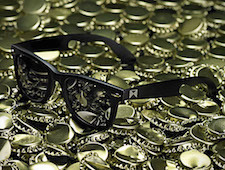 What I will mention, which is something a little different, is our sunglasses we stock that are made out of 100% titanium are super stylish and have a little hook for a bottle opener on the arm! These things are the real deal as I have a pair and have been popping bottles with them for a couple of years. A bit of a change from surfboards, but worth a mention! How can we save on our surfing gear by shopping at Tradewind Surf? There are a couple of coupon codes floating around, such as our promo code which will get you $30 off your next surfboard or the 12% off accessories we are going to offer with this article! We do free shipping Australia wide too, so no hidden costs with us! What may we expect from Tradewind Surf in the near future? Our business is growing but the idea is to keep the small business feel with the personal service we give that is extensive and readily available. We are growing our offering brand and product wise, which will be of interest to snip snip shoppers. And we have also started a wholesaling side to the business, which has been showing promise, so exciting times we would think! Which board is your personal favourite? It really is hard to say as there are lots of different boards for certain conditions and different brands etc. But the board I am riding at the moment is a Stuart Bender after riding and loving Lost surfboards for many years. I have tried a Stuart Bender model; it is an all rounder for most wave conditions and really does go well, really happy with it and would recommend it to almost any surfer! What’s your personal top 3 of surf locations across the globe? I have been lucky to grow up in Queensland on the Sunshine Coast and not far from the Gold Coast where I now live. When you can nail a good session at one of the Gold Coast point breaks like Snapper Rocks or Burleigh Heads when it is not stupidly crowded, then that is definitely up there. We had some really nice waves in the South West of France one year like Hossegor and surrounding beaches. Surfing in the early morning or on dark at the Sunshine Coast in fun waves with a few friends nothing really beats that. How is working at Tradewind Surf like? It is really good waking up every morning and talking about things that we really love like surfing. We try to be easy going, not too pushy with our customers and do what we can to keep them happy! It's a chilled sort of vibe, and we try and surf after work every day to keep the fire burning! If you are like us and love surfing and you’re tired of pushy salesmen, send us a hit or give us a call, we will talk it through with you. We love to surf and when we are not surfing, then talking about it is the next best thing. Thanks for your time, see you in the water. Big thanks to Willow for taking the time to do this interview with us! 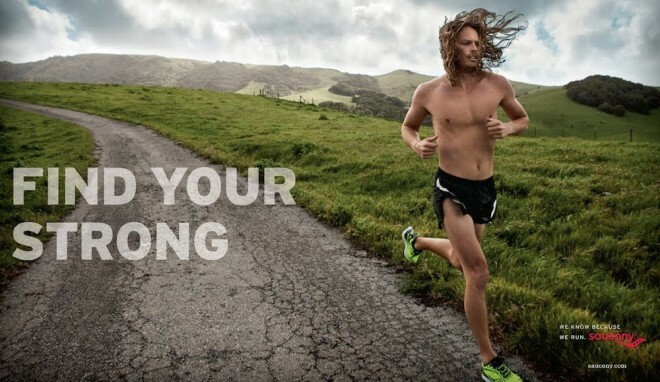 RunStopShop is Australia’s all-in-one shop for runners, but it doesn’t stop there! The store’s slogan is “Total Fitness Online”, which implies the store also hosts a full range of fitness equipment for all kinds of workouts. But running is of course still the store’s core business, with various top-quality products across all categories including footwear, clothing and tech accessories. Newsletter subscribers of the shop are often treated with exclusive promotions, and coupon codes are often made available for us to share with you for further savings. With RunStopShop you don’t just shop a new outfit or new gear, it’s all about getting everything you need for your active lifestyle. That’s why training supplements, organic super foods and other sports nutrition are also part of the store’s ever-growing catalogue of products. The company’s Director Charlie Egan was so kind to take the time for an interview with us about RunStopShop. Can you tell us a bit more about yourself and RunStopShop? RunStopShop is a specialist retailer of running and health + fitness products. We are 100% Australian owned and operated and work from a warehouse in South Melbourne which is just out of the CBD in Melbourne. We carry a large and growing range of products and brands and specialise in footwear and wearable technology. Why did you decide to found RunStopShop.com.au? I am a very keen trail runner and have always been interested in general health and fitness. The attraction of starting this business was to combine a great customer service experience and digital marketing to serve the running community with products that they can use for training, racing and everyday living. Which running gear essentials do we often forget about in springtime? Compression. When the sun comes out in spring and we start getting out and crunching the kms again, we often think less about our recovery. Recovery is vital no matter the climate. If it’s warmer we need to be more concerned about hydration and when it’s colder we need to work harder to flush lactic acid post exercise. Compression wear is commonly recognised as a great way to help aid recovery and reduce the risk of injury. We carry a great range from brands like 2XU, Bsc Body Science, Running Bare, CW-X and more. What are the latest trends in running gear, and which brands are currently hot? Most definitely the strapless heart rate monitors. We carry four brands that produce the market leading strapless HRM watches: adidas, Mio, Soleus and TomTom. 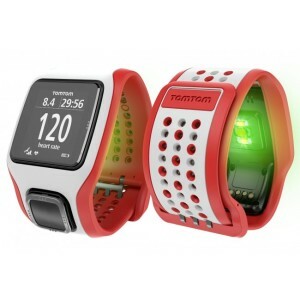 The TomTom Runner Cardio is currently the most popular due to its comfortable strap and easy to read and use display. How do you keep up with the latest trends in sports? By going to and competing in events and fun runs. This qualitative research is the best because people are the best prepared that they could be and are ready to go their hardest. This is when a product needs to live up to its promise. If it doesn’t, then the runner will never use it again. But if the product performs well, the runner is likely to be a dedicated user of the product and brand. Why should we shop our running gear at RunStopShop? Because we have the latest products from the best brands. Our technology range is second to none and we have the knowledge to provide you with the best advice about the right product for your requirements. What may we expect from RunStopShop in the near future? We will be attending lots of events in the 2014/15 summer and throughout next year. We believe in getting in front of the market and showing our faces, which doesn’t happen very often in the digital space! We are always looking for new brands and have some big announcements to make in that space in the coming months. We are also on the verge of announcing a partnership with a large business that will further our brand awareness but we can’t talk about that just yet! Watch this space! What is working at RunStopShop like? It’s like a workout! We are always up and about and trying out new product so midday runs are a regular occurrence particularly when we have a new product to trial! What is your favourite workout song? M83 – Midnight City for the last kilometre of a tough run! Which item available in your store is currently your favourite? The Inov8 Trailroc 245 - it’s tough, durable and stable. I have been running in these for two years and have worn them for all kinds of trail runs across some serious terrain. I am on my second pair but only because a new update came out – I haven’t been able to wear them out! Which other online stores, websites do you guys like? The guys at ASOS really know what they are doing; great response times and range! We also love activeNOW for news and info about all things fitness from some of Australia's top fitness experts. If anyone has any questions about RunStopShop and how we can meet your needs, please head to our website at RunStopShop.com.au or call on 1300 366 788 or email at customerservice@runstopshop.com.au or you can email me directly at charlie@runstopshop.com.au. Have a great run! Special thanks to Charlie for doing this interview with us! onsport.com.au is a store that covers just about all of the sports Aussies love the most, with sportswear and gear by favourite brands including Speedo, Saucony, 2XU and BSC. Whether you’re looking for a new pair of running shoes, a yoga kit or a GPS sports watch by TomTom, onsport.com.au can get it to you with free shipping. Founded by two avid sports fans in 2011, the store is growing hard to further expand its broad range of items and brands. As well as free shipping and regular discounts, onsport.com.au is a preferred online partner of the Velocity Frequent Flyers loyalty program and lets you collect reward points with every purchase you make. Our interview with the company’s co-founder Andrew gives you an inside scoop of the company. Can you introduce yourself and your online store onsport.com.au? Hi, my name is Andrew and I'm a sport-a-holic (was that lame? Sorry…). Matt and I launched onsport.com.au, Australia's best online sports store, in 2011, as we wanted to provide Aussie fitness fanatics and sport-obsessed individuals with a wide range of global and boutique sport and fitness brands to shop online all in one Australian-based website. We continue to grow with new brands and new product ranges launched each month, so if you haven't visited us yet, check us out today at www.onsport.com.au! Which discounts, promotions do you typically treat your customers with? We offer Velocity Frequent Flyers (the loyalty program of Virgin Australia) the benefit of earning Points when they place an order with onsport.com.au, plus, Velocity members can redeem their Velocity points directly within our cart to pay or part-pay for their orders. We've had lots of positive feedback from our customers about these unique benefits. In addition, we hold around 3 major sales promotions a year – currently we have our end of financial year sales, where onsport.com.au customers can save up to 70% off sportswear, footwear, sports tech and accessories. We also offer ongoing discounts to our loyal customers, including coupon codes and other surprises from time to time when you receive your order. Plus, Aussies enjoy free shipping and free returns on orders over $75 shipped to an Australian delivery address. We don't mind a negotiation and price matching – if customers see a product on our site they'd like to buy but want it for a lower price than what we're currently offering, we're very open to offers – email us at contact@onsport.com.au or call us on 1300 351 461 and let's chat. Which brands and items are currently up and coming? We've just launched a super range of Saucony running shoes and apparel and Nike fitness and yoga accessories, and we're pleased to announce that we're about to launch our first range of men's and women's Puma products – watch this space! What are some winter essentials that we shouldn’t miss out on? It has been a warmer than average start to winter, however, the cold weather is starting to set in, so for the ladies you'll need something to keep you warm, like one of Running Bare's hoodies or jackets and for the guys we like Canterbury's range of track pants and warm jackets for pre or post-workout, watching a game from the sidelines or for lounging at home after a run. Why should we shop at onsport and not another online sports store? Many reasons, but most of all, our Aussie service. At onsport.com.au our customer service team are obsessed with service and go to great lengths to provide Aussies with extraordinary service! Some of our staff have even hand-delivered orders to customer's front doors where they needed a delivery urgently before a weekend. We're very proud of our service and very proudly 100% owned and operated in Australia, including our service team. We hold a wider range of boutique sport and fitness brands than other online sports stores and offer other unique benefits to our customers, such as earning and redeeming frequent flyer points directly within our site. If you haven't shopped with us before, visit our site, try our service (even if you don't order something), we're confident you'll have an enjoyable online experience with us! What is your personal favourite item available at onsport.com.au? I'm into running, so personally I'm a big fan of our heart rate monitors at the moment. Being a little bit of a technology nerd and sport-mad, for me sport and technology is the ultimate mix. Which other websites do you guys like? Sites that are currently 'trending' with onsport.com.au staff are: Pinterest, Aquabumps, SHOWPO, SouthernInLaw, MyFitnessPal, HelloFresh, Harvest Box and The World Game section of SBS (lots of World Cup content!). Which upcoming sports events are you most looking forward to? Right now it's all about the FIFA World Cup and Wimbledon. We cannot get enough! After that, we're looking forward to the Commonwealth Games, the Cricket World Cup and the Asian Cup in 2015 which is in Australia. Of course we'll watch everything in between, from the AFL and NRL Grand Finals to the Melbourne Cup. It's a big year in sport! What may we expect from your company in the near future? More brands, more great products, more special offers, better communication and one great benefit of being an onsport.com.au customer that we're currently working on and will be available in time for Christmas! So lots of fantastic things to come – we're only just getting started! What is working at onsport like? Hard work, but fun - we work hard but we play hard and enjoy ourselves too. We have a few rules and rituals. No suits, ever (unless we're meeting royalty or the PM or you're an intern who turned up for their first day – they do it every time without fail). Lunchtime ping-pong. 'Subway Friday' runs. Lots of caffeine. Super sport debates. Major sport events streamed online on the big screen in the office. Team onsport.com.au is a small but growing team and being partly outsourced, we are very nimble and we like to move quickly. It sounds cheesy but we genuinely love talking to our customers, so if you have any questions, feedback, thoughts or just want to chat about something (except that strange rash you picked up in Bali – ask your doctor about that!) visit us online and don't be afraid to get in touch – unlike Suarez, we don't bite! Many thanks to Andrew for taking the time to do this interview with us! Cycling Express brings the best cycling brands and their products from all around the world to Australia paired with great customer service by avid bikers. The company has a rich history in selling bike gear over the web and is ever expanding with more brands and products being added continuously. CyclingExpress.com is more than an online store as it also actively runs a blog about biking, owns a bike club and supports several other initiatives in the world of cycling. Intrigued by this online store and the many neat promotions Cycling Express has been treating us with lately, we went out and invited this store’s fine folks for an interview. Can you tell us a bit more about yourself and Cycling Express? Hi snip snip – It’s nice to talk to you and thank you for your questions. I'm Sam Evans. Our website was launched in 2011 by our founder and CEO George. Since that time, Cycling Express have expanded our operations and we now sell worldwide. We started the company in its present form in 2011 but combined we have over 20 years experience working in the bicycle industry. Over the past twelve years the team created key relationships to enable the launch of CyclingExpress.com, an Internet-based bicycle retailer, distributor and wholesaler. Because of our important global partnerships we are able to give great value and service to customers. Here's a bit about our history - the humble beginnings and the road we've taken to get where we are now. In 1999 we were just a small company with big ideas and bigger goals. That same year we started our business in a garage in Australia. We started an online bicycle store the following year. This was a big deal back then! In 2010 we began to develop the Cycling Express concept, focusing on supplying the world’s best brands of bicycle parts, accessories and bicycles to the consumer at globally competitive prices. In June 2011 we launched CyclingExpress.com to the market. Fast forward to August 2013, with new support and new, bigger plans, CyclingExpress.com relaunched to the world market. We designed a new web store and a new global distribution centre to help furnish the company’s international goals of better service and better prices. It’s been quite a ride, and Cycling Express are keen to add plenty more stories to our history. We are active socially and contribute to the community in many ways. We sponsor races every year, sponsor a grass roots African cycling team and have a cycling club on Strava with over 500 members where we give away prizes ever week to our members. In addition, we create YouTube videos, product reviews and tests every week and we post blog articles on CyclingExpressBlog.com daily. The majority of the company's employees are cycling nuts; triathletes, MTB’ers, road cyclists or recreational cycling enthusiasts. We ride, test and love the gear we sell. And we want to help customers get the same satisfaction out of their riding as we do. Why did you decide to found Cycling Express? We wanted to give great value to cyclists and the best way to do this was to start an online store. The company's core group of founders were cycling enthusiasts and realised that online was the best way to give customers what they needed at the best possible price. What are currently some of the most popular products you have in your store? Some of the most popular products are the Azzurri brand of bicycles, Colnago bikes, Bianchi bikes, Shimano parts, Mavic wheels, Honey Stinger and Gu Energy gels, Continental tyres, Vittoria tubes, D2R indoor trainers, Scicon bike bags and De Rosa bikes. Which brands are hot and trending nowadays? Some of the hottest brands in the cycling industry that we sell are, on top of those listed above, Fulcrum, Reynolds, SRAM, Wilier, Selle Italia, Easton, Fizik, Maxxis, Park Tools, Lezyne, 3T, Rudy Project, BBB, Castelli, Speedplay, Garmin and Craft. There are many other big name brands that we sell that are also very popular. Which products should we certainly get to cycle all the way through winter? The best items to get to ride all the way through winter (and keep off any unwanted winter weight) are full finger gloves, leg warmers, arm warmers, a nice lightweight warm jacket, and maybe a head warmer. For those riding in wet and cold environments, Sealskins have some great waterproof options like waterproof socks and waterproof hats. What coupons and deals do you typically have available? Our current deal is an extra 10% off already discounted prices storewide for customers who enter code Extra10 at the checkout page. The absolute best way to find out about all our new deals and promotions is to sign up to our newsletter (and to check the Cycling Express coupons on snip snip of course!). We have many weekly promotions (many that sell out very quickly) so the newsletter gives customers the absolute best chance to take advantage of our deals. Why should we shop our cycling gear with Cycling Express and not another online bike shop? We have better value - our policy is that if you find it cheaper elsewhere we'll beat the price by 5%. We use express worldwide shipping and we dispatch most orders within 24 hours - so that means you'll get your order very quickly! We also have a huge range that is constantly expanding, not to mention we have weekly deals that cater to every type of cyclist. We also have industry leading customer service with a customer service team that speaks English (Aussie, US & UK English ;-)), simplified and traditional Mandarin, French, Korean & Japanese available online for live chat daily. Which items are entirely unique to your online store? Brands that are essentially unique to our online store are a full range of Azzurri bikes, Verite road bikes, 991 wheels, Unich pumps, Taokas bikes, Bkook cycling trainers, D2R cycling trainers, Fapz lights and Nathan hydration. We also sell eBikes, or electrical assisted bicycles, that can be ridden as a powered bike or as a non-powered bike. At the time of writing we're the only online store we know of offering this type of bicycle. What is your personal favourite item available at Cycling Express? 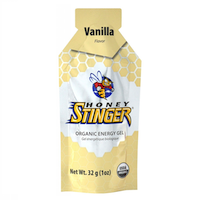 Personally I love Honey Stinger and Gu Energy gels. They're great for any ride, and keep me going for much longer at a faster pace than if I didn't use them. I also find that gels are much easier to eat when you're on your bike reading than a bar or solid food. Which cyclist are you guys a fan of? Being an Australian I'm a big fan of Cadel Evans - I also grew up not too far away from him and have followed his career since his mountain biking days over 20 years ago. But there's a Canadian working here and he's a fan of Canadian Rider Hesjedal, there's an English guy with us who likes English cyclist Chris Froome, we have a Chinese co-worker who is a fan of Li Yan and a Japanese co-worker who loves Yukiya Arashiro. Needless to say we have a very diverse workforce and no one will agree on who is the best! What does CyclingExpress.com have in store for the near future? Actually, that's what I find exciting about this job. Being an enthusiast it's always fun to see new products and new brands arrive. We've got a huge number of brands and products coming on board in the coming months, I can't wait! If you love cycling I think you'll love interacting with our company. Join our Strava club and win prizes just for riding your bike, follow us on Facebook for all kinds of cool new stuff, funny posts and new video’s, follow us on Google+ or on our blog for the latest videos and test reviews that we make every week or to read our news and opinion pieces or just sign up to our newsletter for deals that you won't find elsewhere. Did I already mention I love my job!! Our thanks go to Sam and the rest of the Cycling Express team for taking the time to do this nice interview with us! ProBikeKit is all about road cycling, stocking thousands of items from over 180 brands available for free delivery anywhere in Australia. As a part of The Hut Group, also known from THE HUT and Zavvi among others, ProBikeKit knows how to excel by combining a large range with great customer service by true experts. Our interview with a team member from ProBikeKit’s partnership team is no better proof of that, as he is an avid road cyclist himself. He tells us a bit more about the upcoming trends, brands and products at ProBikeKit.com.au, and shares more about the team’s love for road cycling (in the rain, unfortunately). Can you tell us a bit more about yourself and what you do at ProBikeKit? I look after the affiliate and partnerships for our lifestyle websites here at The Hut Group, as well ProBikeKit, this also includes Myprotein, myvitamins and Mass.FI. I am responsible for all sites and acquisition of new partners in this space. How do you manage to offer quality customer service, even though you’re located in the UK? We have a designated customer services team who are on call 12 hours a day with queries, warranty claims or for general advice. As PBK is part of an international retailing group we are 100% focused on offering fantastic service, which is seen in our customer reviews through the impartial review site Trust Pilot. What are the latest trends in cycling gear? The big trends we are seeing is the move to 25mm tyres, increase in tubular tyres, fluor clothing being more acceptable, GPS tracking through the likes of Strava and moving into heart rate monitors in helmets. How do you guys keep up with the latest trends? What are three essential winter items cyclists often forget about? Cleaning and lubrication products, warmers and mudguards. 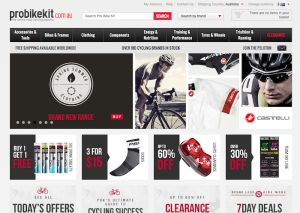 Why is ProBikeKit.com.au the best online cycling store? We are 100% focussed on road cycling, which no other website is. We focus on value, competitive shipping rates, depth of range, unique content and ensuring we are offering roadies everything they need to be the best. What is your top 3 of favourite items available at ProBikeKit? Continental GP4000s tyre, Castelli Gabba jersey, Ultegra 6800 11 speed groupset. Which new releases and other novelties do you have in store for the coming months? We have new clothing (over 800 new skus) coming from Castelli, Sportful, Northwave, Adidas, Craft, Le Coq Sportif (a new brand for us), Santini, Endura, Bianchi, Look, Sugoi and Oakley. We have new shoe ranges in from Sidi, Northwave, Shimano and Fizik with Giro coming in the summer. We have 15 pro team kits landing in our warehouse over the next 2 months and were the first online retailer to sell the Tour Down Under kit (even Wiggle didn’t have it!) 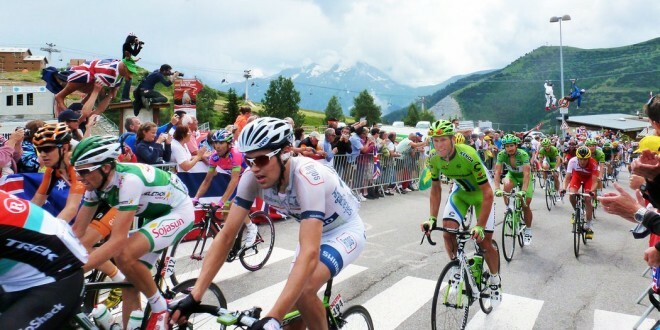 and were first to market with the Movistar and NetApp Endura kit. We love pro team clothing! Novelties, well we have a good partnership with IWantoneofthose.com so have sold a good range of novelty gifts over Christmas and will be looking to increase our range of cycling books, films and fashion wear over the coming months. The good part of being part of a big retail group we can bring in products to the website which no other cycling retailer can get. So if you want top end male grooming, the latest Blu-ray, console or nutrition we can sell it. Which other websites, online stores do you guys like? The team that run PBK are all roadies so we spend any free time riding in the rain, rain and more rain. Can you offer us any office space in Oz? Avid triathlon fans, and sport loving people in general, will most certainly feel at home at Ezi Sports. Active since 2009, EziSports.com.au has become Australia’s go-to place for anything triathlon participants could possibly need. Swimsuits, cycling jerseys, running socks - Ezi Sports stocks them all, and knows which brands and types of items you like the most! The online store can also be found as the sponsor of events such as the Geelong Multi Sport Festival, and at several sports expos across the country. Founder Andrew is a triathlon athlete himself, and agreed to do an interview with us to tell us more about his online store Ezi Sports, its range and plans for the future. Why did you decide to start EziSports.com.au? I have been involved in triathlons for 20 years and have competed in all distances, from enticer to Ironman. The sport has been part of my life for 2 decades, and when the opportunity arose to start a triathlon store I jumped at it. I have a background in e-commerce and websites and did not see many options here in Australia. Hence Ezi Sports was created in 2009. 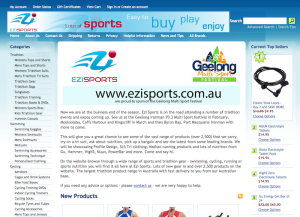 What makes Ezi Sports the top triathlon online store of Australia? We are currently the most visited triathlon store in Australia and have been for 3 years. I think this is because of the range we offer. We have over 2,500 products – physical stores just can’t have that many in store and other online stores just have a little. We continually add to our range with the best brands we can find. The other strength of ours is speed. Often, if you order in the morning, you can have your goods the next day. No waiting for overseas delivery and easy to communicate if you need to swap or change something. How do you keep up with the latest sports gear trends? The Internet provides us with great information – triathlon magazines from all around the world are easier to subscribe to, the leading brands all communicate through email, Twitter, etc. We also get a lot of enquiries about selling products. When we started we had to find the brands and products, now they find us and want to work with us. What are the hottest triathlon products for 2014? Two product areas come to mind that are selling quite well and are this season’s hot products. 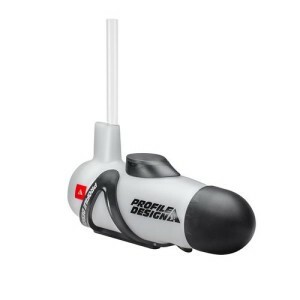 Drink bottles placed horizontally on the aero bars are huge - Profile Design and Speedfil sell 2 really good ones - and Nathan Sports have just released probably the best I’ve seen. 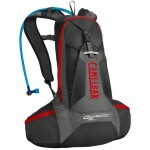 The other product is hydration packs carried over the back. Previously, people only used them for mountain bike riding or cross country running, but now they are becoming a great training aid. 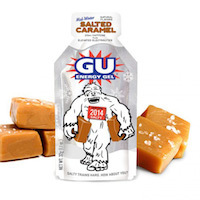 People appreciate the need for drinking lots on their long runs or using some electrolytes. 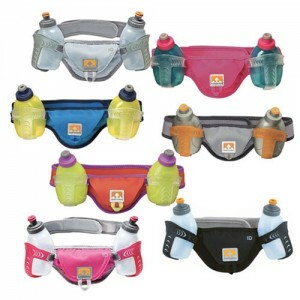 Nathan Sports have the best hydration packs for runners I have come across. What are the most overlooked but essential triathlon items? Socks and Hats. People that are outdoors for a long time - either racing or training - need these essentials to be top of the line. The range of top quality socks for riding and running is great – Compressport make a really good compression 3Dot sock. Caps or hats are also key – good sweat removal as important shading. Are there plans to expand Ezi Sports into other sports as well? Because triathlons encompass 3 of the most popular sports of swimming biking and running we have lots more to do. For example, this season we extended our swimwear collection with 50 extra swimsuits. Next year we will be adding another 50. We will be putting a lot more attention on running gear in 2014 - from simple shorts and singlets to more technical stuff. What does Ezi Sports have in store for the future? Our goal is to continually add more products - 500 per year. Expanding our categories like I described before. We have started to go to event expos so people can see and feel the products first hand - this has become very popular and we are likely to be at 10-15 expos this year. What is your triathlon outfit of choice? There are so many to choose and I do change a bit (the benefit of being the owner). I used to wear the Jaggad tri suit, but I really like the Ironman VO2 Max gear. The SLS3 tri suits we carry are really good looking and some of the colours are quite an impact. A big thanks to Andrew and the rest of the Ezi Sports team for taking the time to do this interview with us!